Who would choose to remodel their kitchen between Thanksgiving and Christmas?! Not me, but that's the way it worked out because we had a major water leak in our kitchen and this was my chance to do it. We chose Ally1 Disaster Solutions to help with our water cleanup, which is one of the best decisions we made. They were so responsive to our needs. 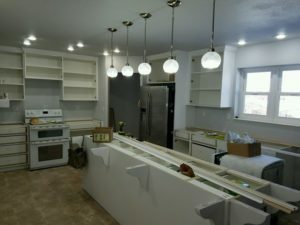 We began removing cupboards from our kitchen on Dec 1 and our kitchen was finished with new flooring, cupboards, granite, drywall (we removed a dropped ceiling), walk-in pantry and paint before Christmas! Ally1 was able to get contractors for us when we were not. There is no way this would have happened so quickly without them. I love my new kitchen! Thanks Ally1!!! Nothing but great things to say about Ally 1! Came home in the middle of the night to a flooded house. We called Ally 1 and Jason showed up at midnight and began cleaning up the water. We had lots of damage and the insurance companies made the process difficult but Ally 1 really helped us navigate the unknown. Communication was awesome and Jason would call every night to update me on what was done and what to expect as the repairs progressed. Jason and all the guys at Ally 1 were super helpful and friendly. They were so patient with my three year old son who would put on his toy tool belt and try to help. They would give him small jobs to do and kneel down and explain things to him. Our house is as good as new. Thanks Ally 1!!! I refer clients to Ally1 with the confidence that they will be taken care of. Whether the damage is from fire, water, wind or freezing, Ally1 is equipped to help. Living halfway across the country I received a dreaded phone call that our home in Cedar City had experienced a plumbing backup which had gone undetected for at least a few days. The damage was extensive. I was put in touch with Jason at Ally1 and they went immediately to work! From the mitigation phase through the completed New basement they were truly incredible to work with. The integrity, personal attention and the eye for detail made working with Jason and all at Ally1 a pleasure at a rather stressful time. Jason and team went to bat with the insurance company so that we were fairly reimbursed and the workmanship is excellent. The main goal that I always felt was that they wanted the job done to the highest standards and making sure that we were satisfied with the job! I would completely recommend Jason and Ally1 anytime and anywhere! Thank you all for excellent, and honest work!! Thank you doesn’t begin to express the depth of gratitude Jennilyn and I feel for the two of you! This fire was a horrible experience, but you both “fixed” everything! That solution to wash the clothes in saved her wardrobe and the ozone treatment saved the shoes and everything else! You both were so kind & helpful! Thank you so much for cleaning my stuff! You saved me so much time & probably also saved more of my stuff than I could have on my own. Thank you again! I have finally had a moment to sit down and write a proper letter to thank you for the handling of our frozen pipe and basement flood claim from earlier this year. Thankfully, Jason and Roy at Ally 1 Disaster Solutions were able to come right out when other companies weren’t going to be able to come for several DAYS!!! When I arrived home the next morning they had already removed all of the wet carpet and had dryers and dehumidifier machines drying out the damage. I was so relieved to have has such a quick and complete response, especially since my husband was not able to return with me right away. Jason and Roy (Ally 1 Disaster Solutions 435 238-4852) went over the entire remediation plan and then the repair plan so it was clear what would be done and that it would be good as new! John, your adjuster, came within a day or so and got the claim into your system right away. The representative who handled my personal property claim was also very helpful and friendly. Once the repairs started, Jason and Roy (Ally 1 Disaster Solutions 435 238-4852) were very accommodating to my crazy schedule, and did an amazing job on the work, especially making the drywall cut invisible! You’d never know all the drywall in the basement had been cut out 2-3 feet up the walls! The subcontractors for the bathrooms and cabinetry did great jobs as well. They did their usual great job with the floor coverings. It was nice to know that Ally 1 works with good subs. Thank you again for getting us put back together and for everyone’s great work on this claim. I had a large kitchen fire in my house. It was very hard to lose items that mean so much to me but Ally 1 was great to work with. They worked with my insurance company and rebuilt my home. It turned out better than before the fire. We had a brush fire outside of our building that caused a lot of smoke to enter our office and surgical center. The guys from Ally 1 were called and showed up even before the firefighters had left. Because of their specialized equipment and training, we didn’t lose any business. The smoke damage was cleaned professionally and in a timely manner. I had Ally 1 Disaster Solutions do a mold remediation job for me. That entailed gutting the home of all appliances, drywall, and floor covering. They got the home mold free. Their price was very reasonable. Their service was great. They completed the job in a timely manner. I would highly recommend them for all your disaster needs. I am writing this letter to thank Mr. Tait and his partner for their excellent customer service. Last Friday my wife and I had a fire in our house. Luckily, we were able to get the fire out before it caused structural damage to our home. Our home was filled with smoke and we were unable to live in it. We called our insurance company to file a claim and they referred us to XYZ Disaster Services, their preferred vendor. When the owner of this company came over he was unable to answer our questions and we felt he was more concerned with taking money from us than wanting to help. He stated that he would send people over that did not speak English and they would be the ones working on our home. We felt uncomfortable with this man working on our home. We thought that he was the only one that could work on it because he was preferred by our insurance company. Luckily, we mentioned our concerns to a friend and he told me to call Royden. I was impressed with Royden because he was willing to come to my house that night, even with a BYU football game going on. He was also patient with my questions and concerns and acted as an advocate for me. He went out of his way to make sure I felt comfortable and was willing to help me with whatever I needed. I strongly recommend Royden Tait to work on my house when a disaster happens. If any of your potential customers want to give me a call I would be more than willing to tell them about my wonderful experience in a time of disaster. Thanks for all you do. 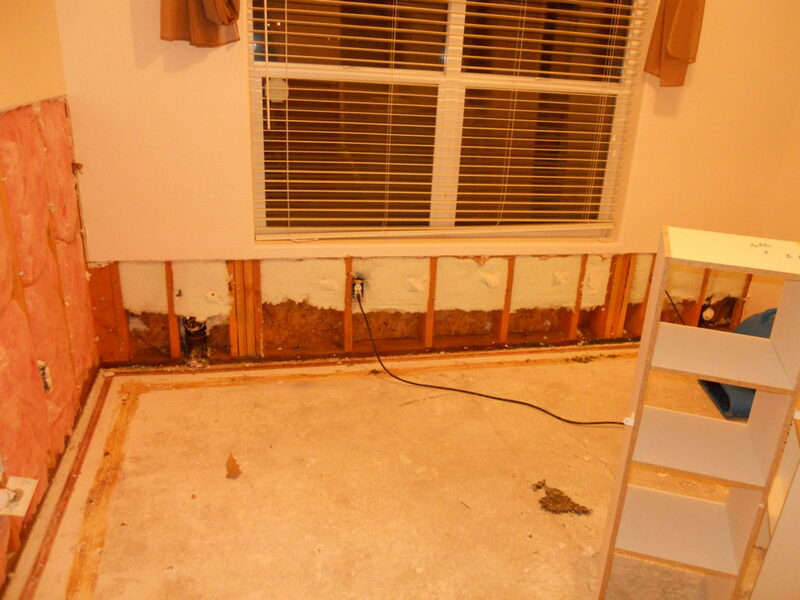 In November of 2011 we came home from a vacation to find an upstairs pipe broken and our basement flooded. 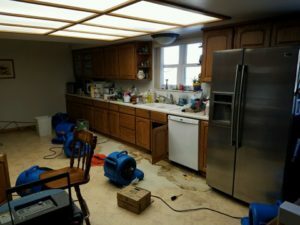 Although we had turned the water off to our home before our departure, we still incurred significant flooding damage to a substantial area of our home, both upstairs and downstairs, totaling approximately $14,000. An incident like this is one of a homeowner’s worst nightmares. We called Ally 1 Disaster Solutions, Jason Dunn and Royden Tait of Cedar City, Utah, and they were at our home within one hour of our initial call. They arrived completely prepared (with all equipment and personnel) and totally organized to take on the monumental task of cleaning up and restoring the damage to our home. Within two weeks: (1) Sheetrock that could be dried was totally dry. (2) Sheetrock that was beyond repair was replaced, spackled, and painted. (3) Tile was removed and replaced. (4) Carpeting was removed and replaced. Our home was once again beautiful and renewed thanks to Ally 1 Disaster Solutions. Jason Dunn and Royden Tait were with us every step of the way, arranging for each and every tradesman on our property. Additionally, Jason Dunn and Royden Tait were exceptional in working hand-in-hand with our insurance company. Without any reservations and with great appreciation, we would recommend Ally 1 Disaster Solutions, Jason Dunn and Royden Tait, to everyone in need of home restoration work. Both their dedication and professionalism make them well-respected in our community of Cedar City. The purpose of this letter is to inform you of how very pleased we are with your staff and particularly the Ally 1 Disaster Solutions company. Regarding the water damage in our home caused by a broken water pipe, Mr. Tait and Mr. Dunn were extremely professional and diligent in having their “crew” mitigate the damage and see that repairs were carried out. They are to be highly commended for their efforts. As we have had to deal with the damage done by a large colony of bats in our home, Ally 1 Disaster Solutions has been very reliable in making sure we have full recovery and that all the details are taken care of. We have been very pleased with their fast response when we have had any concerns or questions during the process. They worked hard to quickly complete what needed to be done so we could be in our home again. Our home is better than ever and we are happy with the results. We would highly recommend this company. You always hope you don’t need them but, if you do, they are a great company to have on your side.